Luis Miguel in Montreal or Quebec City? Inform me about the next events for Luis Miguel. Enroll yourself to our priority waiting list for Luis Miguel to be alerted when new tickets are available. Filling this form doesn't engage you to any purchase. Luis Miguel will be performing at the Bell Centre, in Montreal, on June 8th, 2018. The iconic Mexican singer will be performing songs from his new album México Por Siempre, released last November. The album is already certified double platinum. 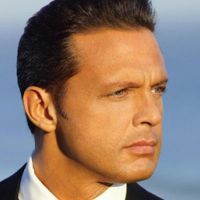 Over the course of the past 40 years, Luis Miguel toured the world and gained major popularity. He is vastly knowned as one of the biggest Latino pop stars in the world. Don't miss his concert in Montreal in June !